Published at 19/03/2019 17:53:00 from Argentina, 1409 visits. Buy Puma 2nd. serial no, feline Crawdet 98cc model 1960. 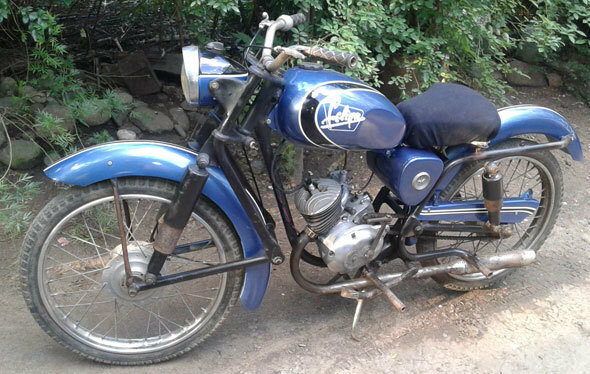 90% restored, working with details to complete, original style painting made of two layers with corresponding, motor logo with grinding cylinder, piston and connecting rod kit new, kick starting system running with new parts, moto reempadronada 08 signed list to transfer. Slow and expensive work is already done, there are details of termination at the discretion of the future owner. The bike was restoring it for me but at this time there are other priorities that is sold.